Travelling with children, especially babies and young toddlers can be tricky, to say the least. There is a multitude of stuff you need to address before embarking even on an overnight stay, and probably one of the most important ones is where your little one is going to sleep. That is where travelling cots come in! That may mean you’ll be packing up little extra baggage, but it is undoubtedly going to take away a huge chunk of stress off your shoulders. First off, you should establish where and what the cot is going to be used for? If it’s for holidays, then you should think light and search for a cot that can be neatly folded to take up as less space as possible. 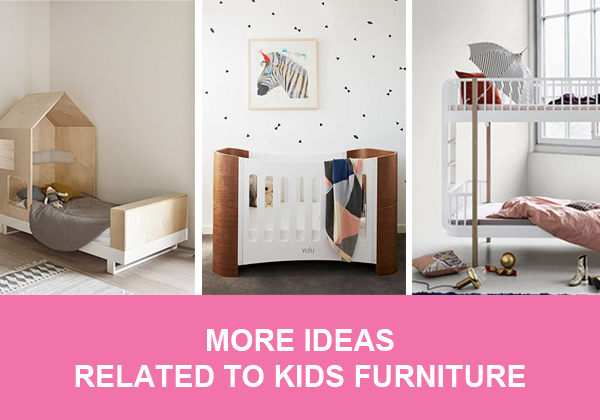 On the other hand, if you are looking for a more permanent fixture (at grandparents’ home for example), opt for extra features that will make it more fun for the kid and more convenient for you. And remember, travelling cots can also be used for placing your curious crawling toddler out of harm’s way while you carry out chores around the house, go out on a picnic, or simply take a minute to relax. 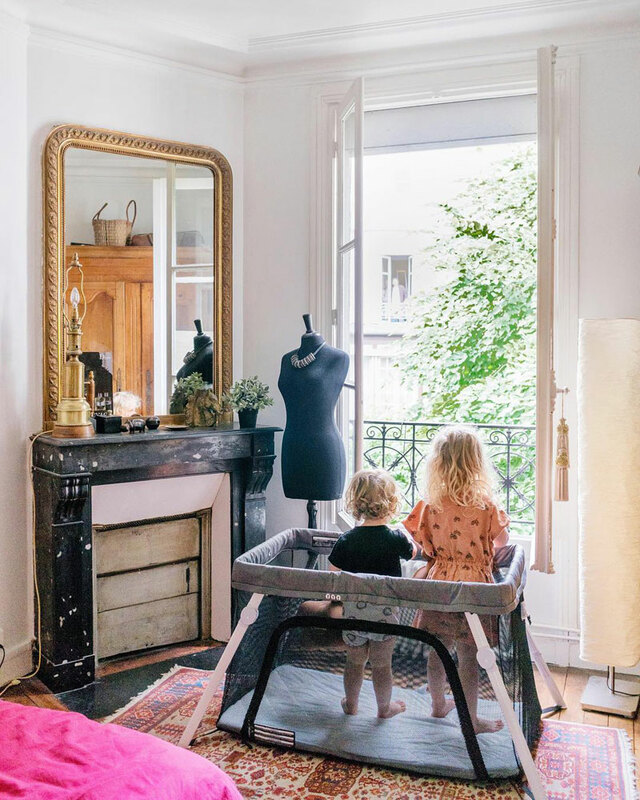 You’ve probably seen many handy, but not-so-pretty portable cots already, and of course, by now you know we would never suggest you anything but the most beautiful and stylish kids’ products. So sit back and enjoy Kids Interiors selection of the best travelling cots on the market and discover how you can help your family’s travelling adventures feel like a breeze while not being forced to settle for an eyesore! 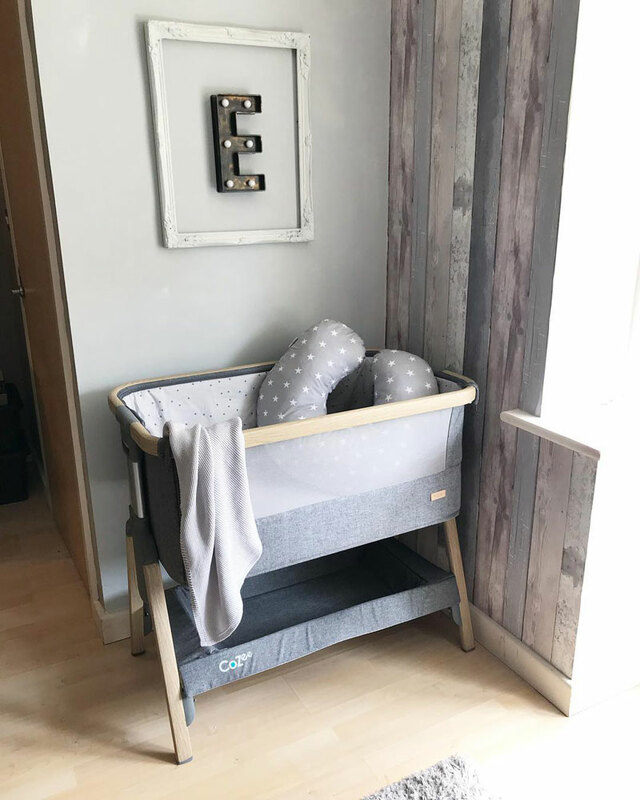 The CoZee Bedside Crib’s design allows it to be used as a stand-alone crib and for co-sleeping, to help you develop that special bond with your little one from the earliest of age. 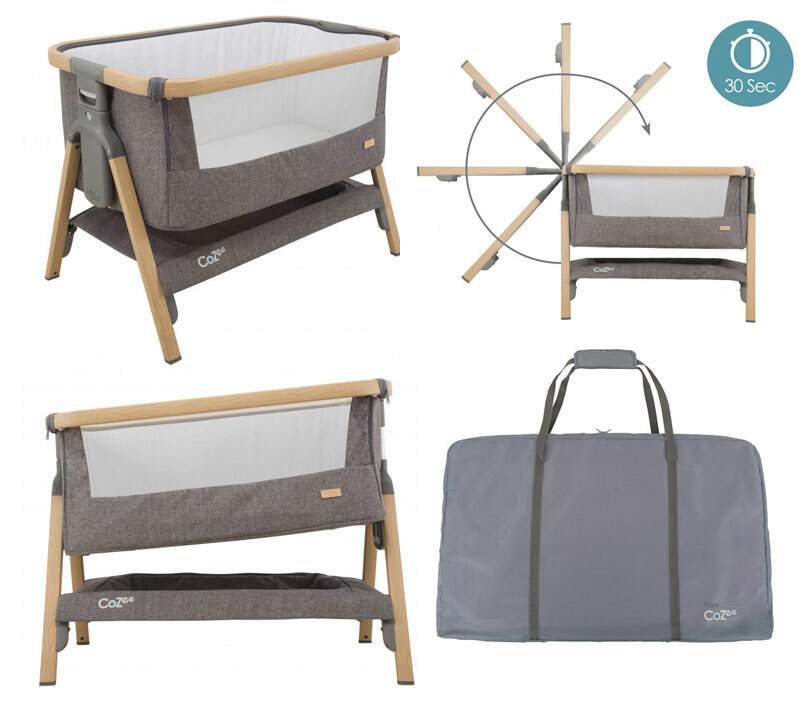 Due to its innovative quick and easy open and fold function, the crib is suitable for travelling as well! It comes with a handy travel bag allowing you to transport and use it wherever you go! Open the carry bag and set up the lightweight travel cot in a moment’s notice. Without loose parts to attach, it’s as simple as it gets! The cot is suitable from newborns to three yearolds, and there is no upper weight limit! That means you won’t have to worry about a sleeping place for a considerable period. 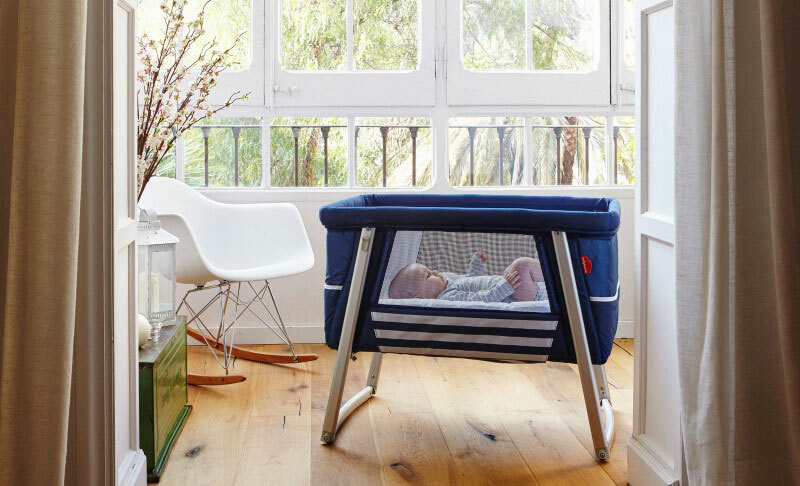 The Dreamer is a cute all-in-one bassinet, cradle, mobile spare bed, and travel bed. It has a special folding mechanism, whereby pulling on the loop the Dreamer can be folded together compactly in a moment, including the mattress! The loop will then double up as a carrying handle for easy transporting. 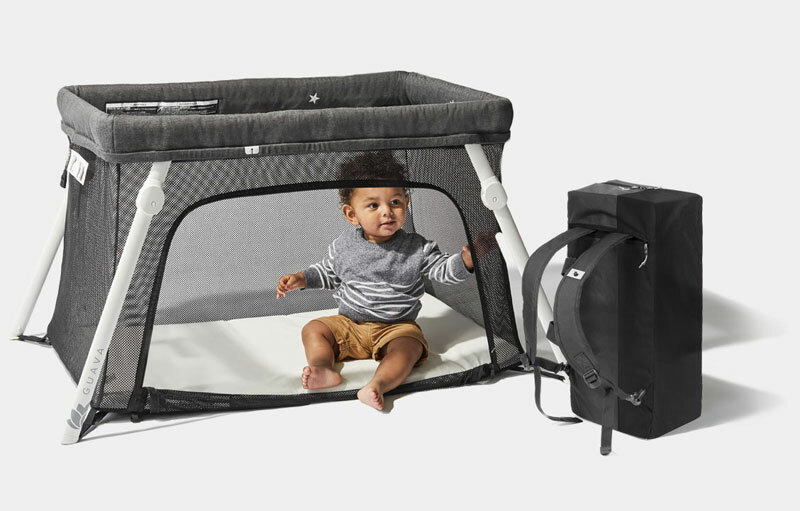 Besides being a comfy, secure, portable space for babies, this travelling cot has a unique pyramid shape. 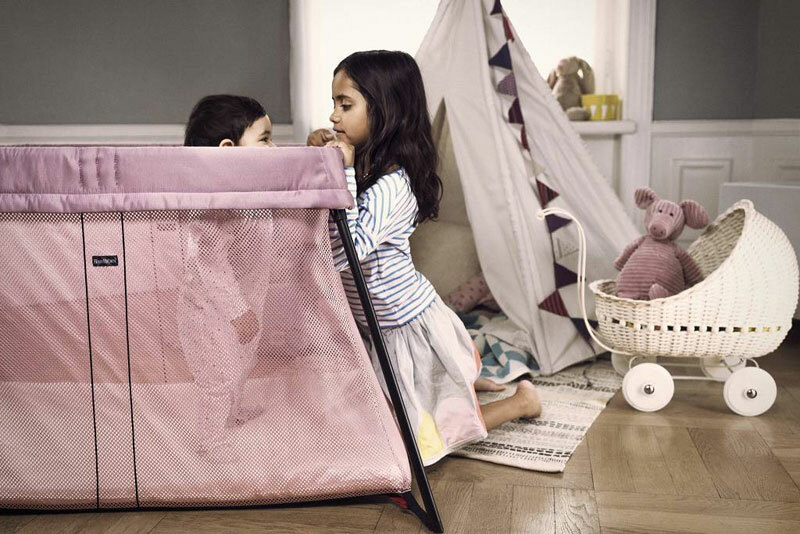 It comes with a cover allowing you to transform the travel cot into a tepee – soo much fun for the kids! 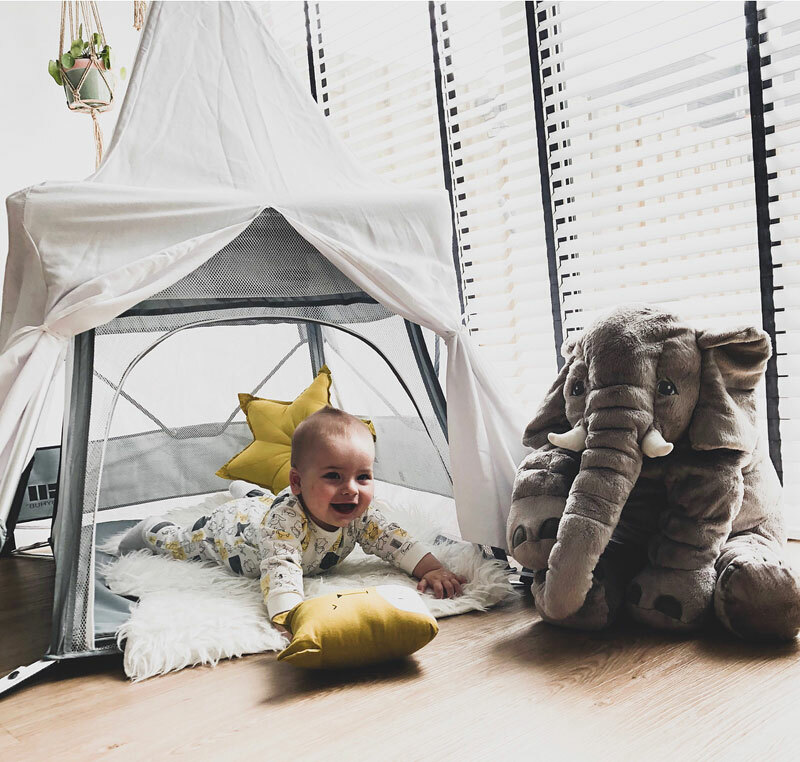 With a zipped door opening, access to the tepee is easy, even for a crawling baby. 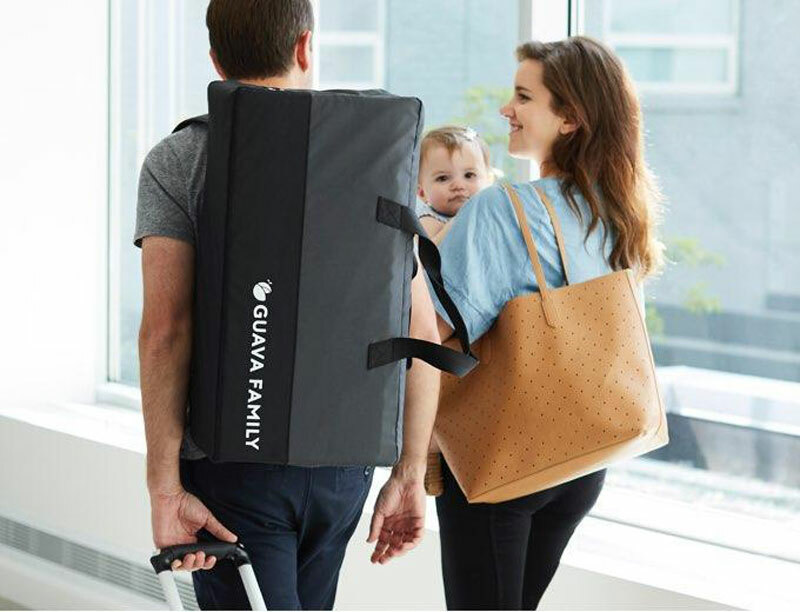 The Guava travel crib is exceptionally lightweight, weighing just under six kilograms and can be folded into a rucksack which you can carry on your back without any hassle. It comes with an easily accessible side opening as well, making it a perfect play area for toddlers. 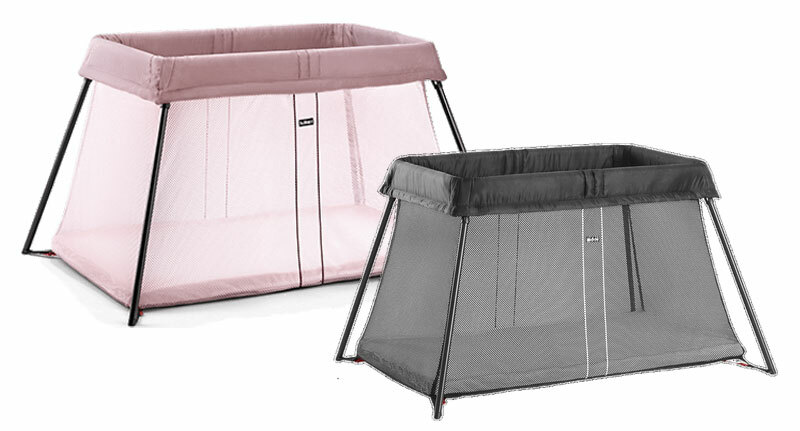 Air is a practical, portable bassinet that goes with a convenient, easily attachable changing pad. The mesh window will help you keep an eye on the baby without having to go near while at the same time allowing better ventilation. Ready to hit the road with your little one?